«become contagious symbiobot : reclaim the 12th camel» is a 20-minute, regularly repeating collective performance and installation. The course of the performance is divided into scenes performed by a multitude of bots and potential visitors.. The process is framed by a fictional encounter between a performer and Heinz von Foerster, in which an unsettled relationship is at stake: who shares with whom, the email credentials of the Google Nexus smartphone. In the course of the story, an animal borrowed from a story by Heinz von Förster is introduced into the plot. This animal,”the twelfth camel”, has special characteristics: it is a narrative and performance, text, image and program in one and leads the question of the division problem onto a new track. 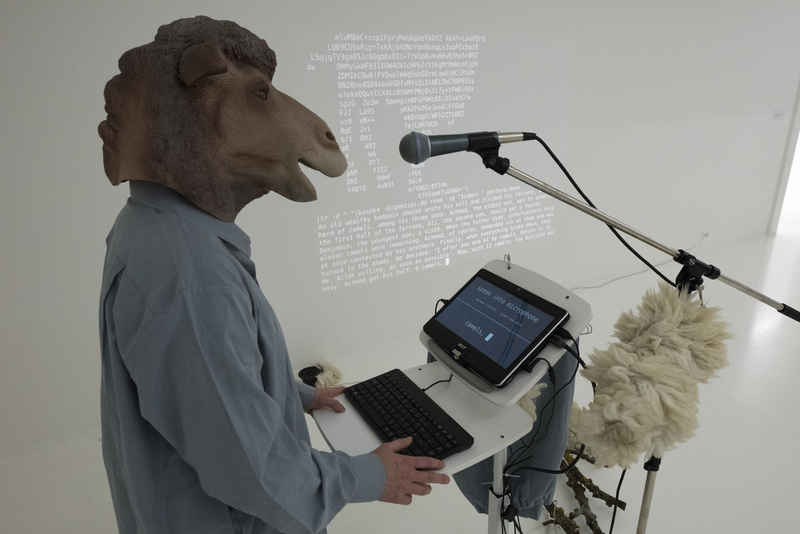 In the course of the performance, the performer goes through various transformations, from the writer to the speaker and finally to the visually transforming symbiotic camel hybrid bot: contagious symbiobot. A camera bot registers visitors and guides them to take over the performance and lend a voice to the speech bot. In the course of the transformations, the program interactions and the physical presence merge with each other. Could there be a language for physical integration into algorithmic environments? What could this language look like? 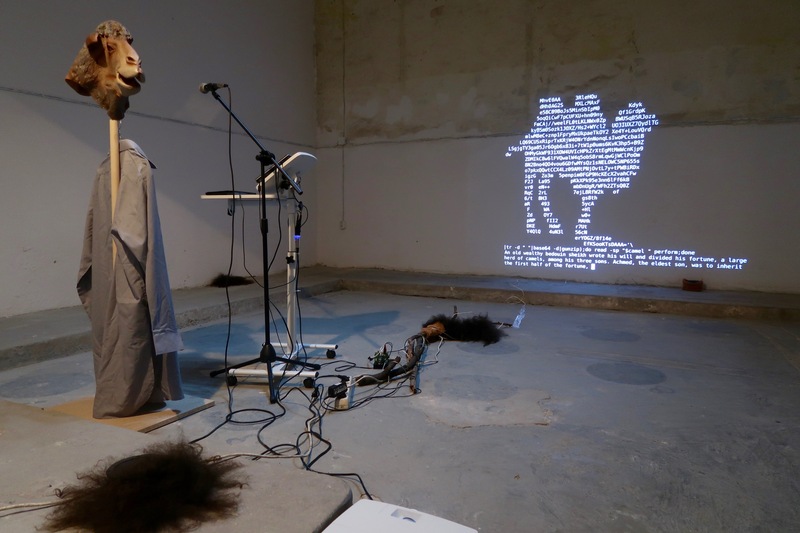 “become contagious symbiobot: reclaim the 12th camel” proposes a contagious infection and ongoing transformation as a process of transformation from text to sign to image to narrative to animal to music as an organic-inorganic hybrid in transformation.